Chuck Beck is renowned among Porsche enthusiasts for his 550 Spyder replicas. He began producing his replica of this famous car in 1982. Since that time, Beck also jointly-developed the Shogun concept car, and produced a competitive race car with his replica of the Lister. 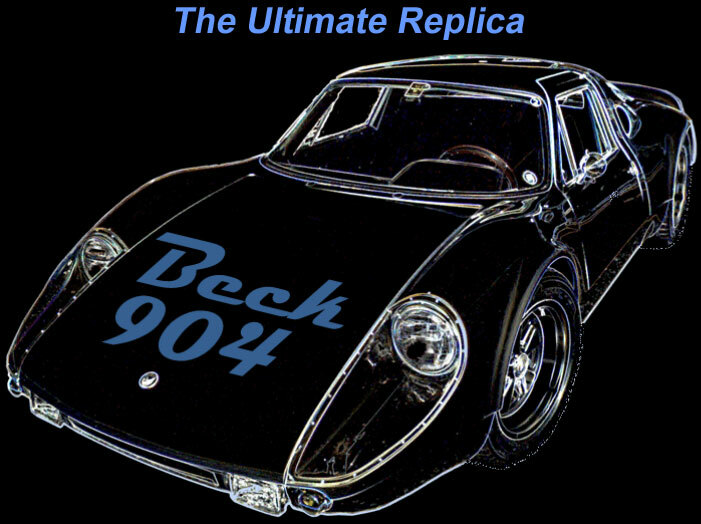 Chuck's latest production car is the Beck 904 replica. This replica is based upon the car that was originally produced by Porsche as a dual-purpose street/race car and marketed under the name Carrera GTS beginning in 1963. Porsche only produced about 100 of these cars in order to satisfy the GT homologation requirements for racing. This car was unique for Porsche since it was their first car which utilized a body fabricated wholly from fiberglass. This resulted in a very lightweight and aerodynamic body, which in combination with its powerful mid-chassis mounted engine, produced a highly-successful race car. The beauty of the Carrera GTS body, its racing heritage, extreme power to weight ratio, and the fact that it was the only dual purpose street/race car produced by Porsche, makes it highly desirable. In reverence to the original, Chuck Beck has designed, built and is now producing his replica of the 904. Based upon his long history of racing and experience in building and modifying cars, Chuck has created a replica with improvements that the designers could only dream about in 1963.